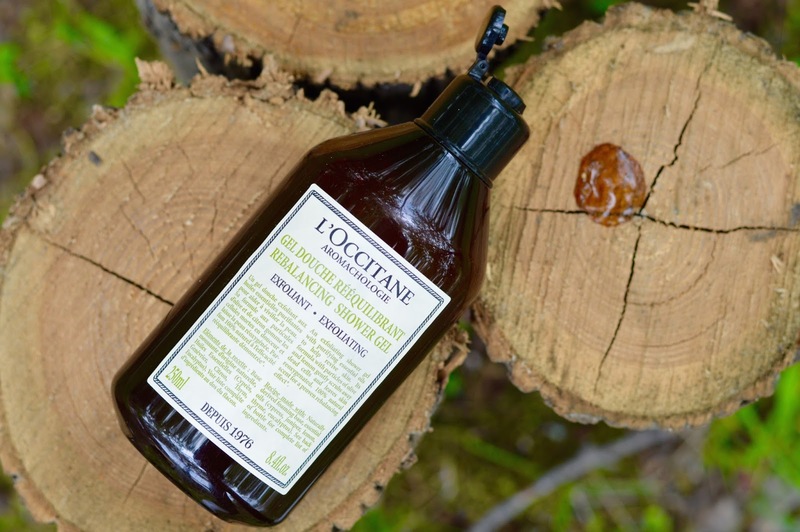 I have been using the exfoliating shower gel in my daily routine since I just finished my Arlésienne body wash (reviewed here). This is a nice woodsy alternative and I'm totally addicted the unique blend of essential oils: juniper, cypress, lemon, thyme and eucalyptus. The exfoliation comes from lemon peel and olive seed powder, which doesn't scrape the skin and is safe for the environment. For extra suds and a deeper clean, I'll apply this shower gel using bath gloves. These bath sachets are my favourite part of the entire collection. 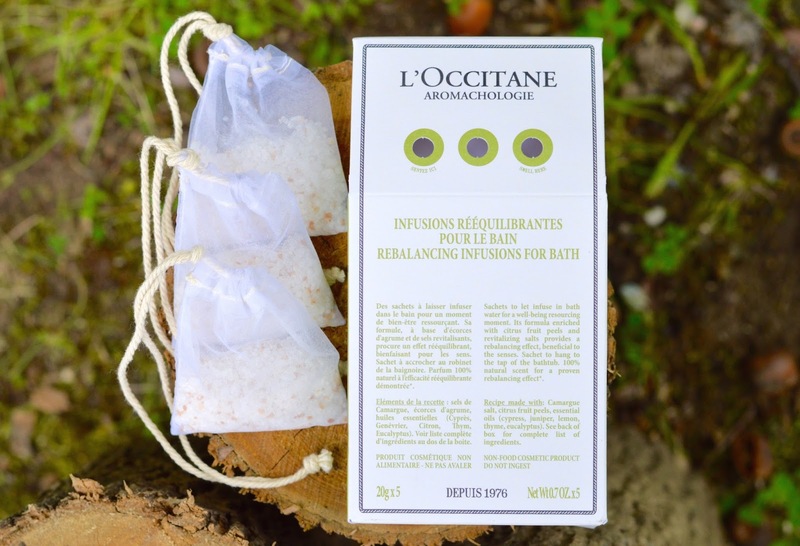 Made with citrus fruit peel and revitalizing salts, I am obsessed with the natural fragrance and softening properties that these infusions add to my bath. You simply hook the string over your bath faucet, turn on the warm water and let the ingredients dissolve. 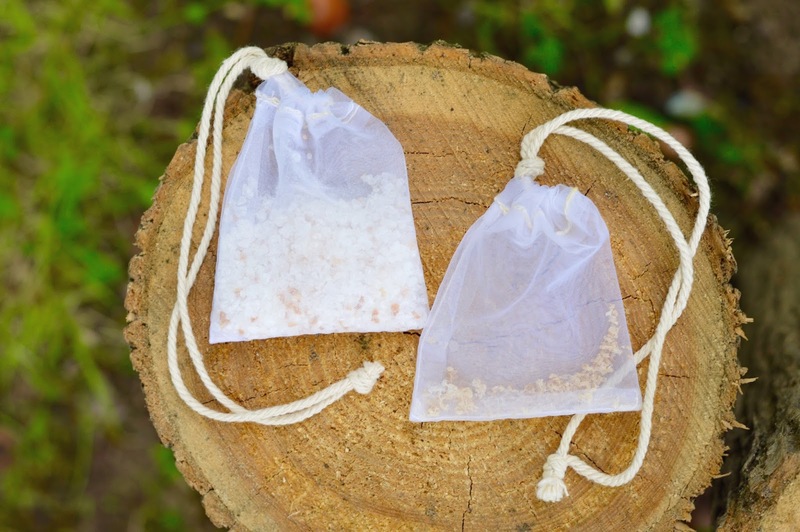 The price is a bit steep at $26 CAD for a box of 5 sachets, but with a bit of handiwork these small diffusing bags can be refilled and reused multiple times. If you love that little touch of luxe but find products from places like LUSH to be a bit extreme, these tea bags for the bath would be right up your alley. The packaging of the massage cream reminds me of the most popular luxury brands like Jo Malone, and Diptyque, with its heavy glass, metal lid and rich lotion that sinks right into clean skin. I love applying my lotions on skin which is just slightly damp. I find that more moisture is locked in and I end up using less product this way. 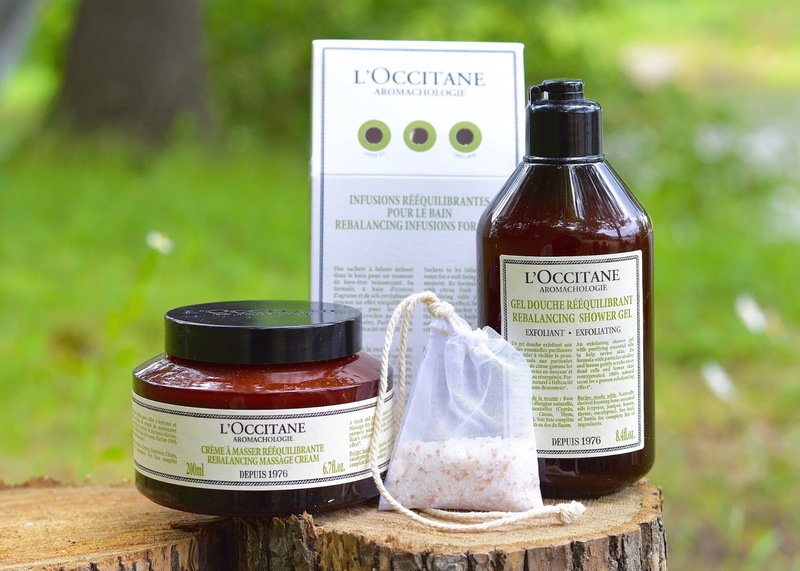 Thanks to this new collection, I have come to realize that L'OCCITANE has their own Spas located all around the world (details here). They provide exquisite wellness treatments which incorporate their classic Sud de la France products and techniques. This permanent Rebalancing addition to the Aromachologie collection is now available in-store and online here. 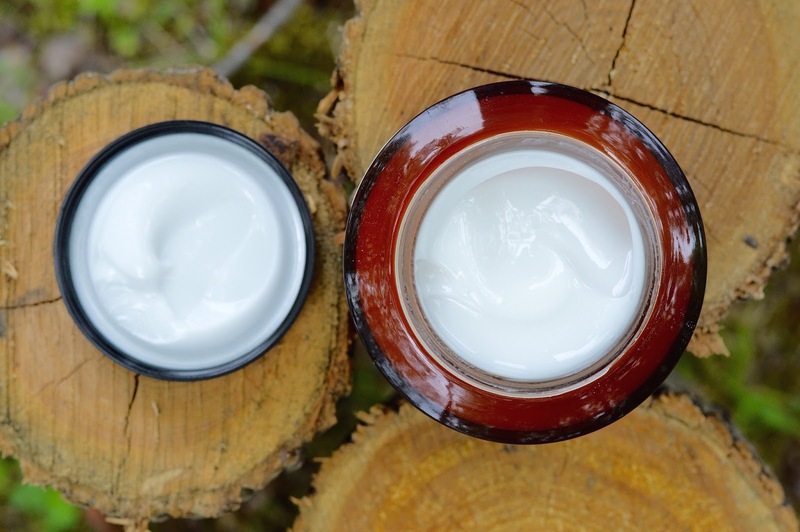 There are two other Rebalancing products which I have not yet tried: the face mask and olive oil based black soap. 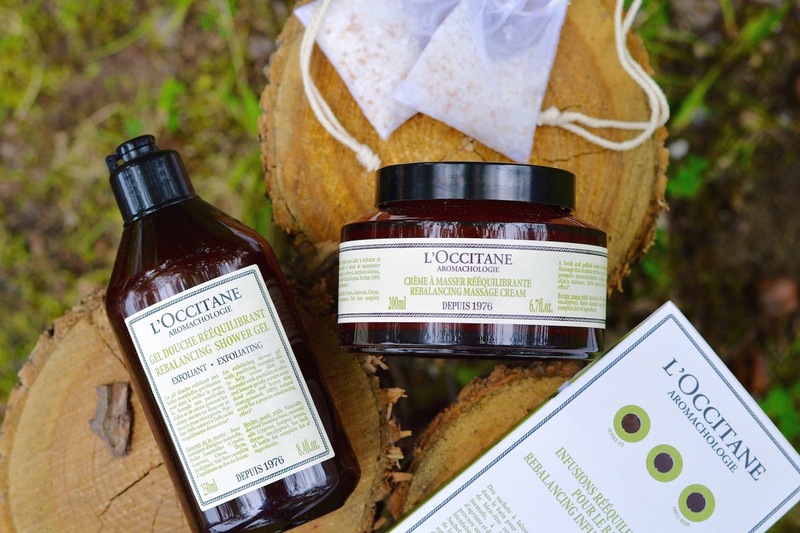 I love how these products allows us to achieve that spa-like feel in the comfort of our own home, in anticipation that a Spa L'OCCITANE will come to Canada soon.